Congratulations! You’re planning your wedding. What an exciting time, and hopefully it will be a happy time for the most part. Planning can go swimmingly well, or it can go horribly wrong, and sometimes either of those situations is out of your hands. 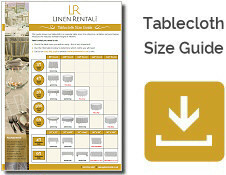 There is one thing you can take full control of, and that’s your table linen, especially when you come to Linen Rental. But what colour should you opt for, and are there colours or styles you should avoid? We’re here to help you with those questions, and with every aspect of dressing your tables to perfection. In this article we’ll give you a little colour inspiration to guide you. As you might expect, the most popular linen colours are ivory and white. Black tablecloths are also gaining in popularity as more and more couples opt for a monochrome look. If you have already chosen your wedding theme colours, then you may already have a good idea which linen colours you are going to choose. It’s also worth checking the colours at your venue to ensure your linen colours don’t clash horribly with the decor. If you’re thinking rose pink tablecloths, and the venue is decked out in dark green walls and red carpets, you may want to think again. If you love strong and bold colours, but don’t want to overdo things, why not choose a white or ivory tablecloth, and a table runner or napkins in a bolder colour? Hot pink and white go so well together, as do navy blue and ivory. Mixing and matching is a great way to mute your look, and to pull more colours into your wedding theme. Lighting can make such a difference to the type of table linen you choose. Is your wedding reception going to be held outdoors or indoors? Are you planning a romantic and dark setting? Does the venue have dim lighting? If the lighting is going to be fairly subdued, you may want to avoid darker colours as these can make it harder for your guests to see what they are reaching for on the table. Light colours on the other hand, work in all settings and situations, and can also be complemented with a darker runner for contrast. The seasons can largely dictate your colour scheme. If you are planning an autumn or winter wedding, you might opt for warmer tones such as gold and burgundy. Spring and summer both play host to lighter, pretty colours such as pinks, light greens and lavender. Look at the colours of your wedding flowers to see which colours are going to sit well within your theme. You can use a colour wheel to show you which colours naturally go well together. Whether you are looking for white or ivory tablecloths, napkins, chair covers and bows or stunning colourful runners, Linen Rental has your tables covered, quite literally! 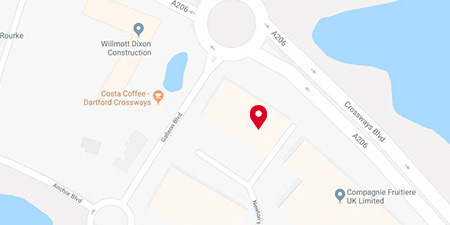 We would be delighted to tell you more about our range, and to help you tick one more thing off of your wedding planning list. Take a look at our range of crisp and elegant table linen today.